The Damanhurians consider the planet a living being to be respected and protected. This principle translates into great attention to the environmental impact when developing all the settlements of the Federation. Damanhur has always invested many resources in the acquisition and rehabilitation of woodland areas, previously exploited only for fire-wood, where the under-wood had been destroyed, forcing the animals out, to find a new habitat. In order to return the woods to their original state of health, the citizens of the Federation, in collaboration with experts from the University of Turin, started, years ago, an important program of tree surgery and tidying up. 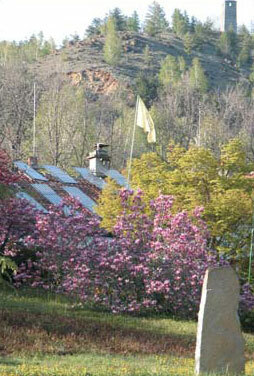 The achievement of self-sufficiency in energy is one of the most important objectives for Damanhur. Today, the Federation is self-sufficient in 70% of water supplies for bathrooms, thanks to solar panel installations; 35% of electricity supplies from photo-voltaic installations and small hydro-electric turbines; 90% of supplies for heating with wood, obtained from looking after the woods. In addition, 35% of Damanhurians use bio-diesel cars (there is a supply pump on the territory of the Federation) and 40% have cars that run on methane or liquid gas. for example, the so-named ‘Buche’ project, i.e. the extension of the Temples of Humankind, foresees an installation of top of it of 4,000 square metres of photo-voltaic panels, equal to a production of 500 kW. MbM and EdilArca, two businesses started within the communities, construct, throughout the whole of Canavese area, avant-garde houses, designed to make the best use of water, energy and heating resources. The systems of the houses already in existence, on the other hand, are gradually reconverted through the installation of solar and photo-voltaic panels and systems to collect the rain water. The Village Council of Vidracco, supported by the Damanhurian administration of ‘Con te, per il Paese’, is looking into the rehabilitation of an abandoned cave, to transform it into a photo-voltaic energy centre. 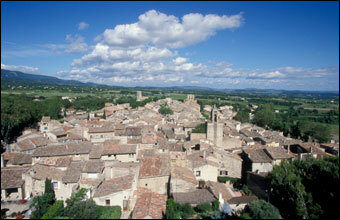 ‘Aval’ and ‘Fattoria’, two Damanhurian nucleos have been given the ‘Green Home’ award by FEE Italy. 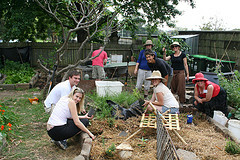 FEE is an international foundation, with its base in Denmark that gives awards to constructions where the quality of life is based upon low environmental impact and attention to consumption; it is the same organisation that has recognised the activities of the Damanhur Education Association as an Eco-School. Organic farming and self-sufficiency in food is a priority objective for Damanhur: presently, around 50% of food needs are covered. The Federation has pigs and cattle and fish farms; it produces vegetables, fruit, milk, cheese, oil, cereals and bakery products, wine and honey. 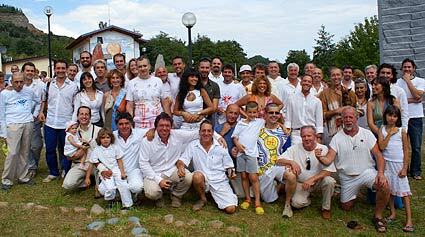 In 1998, it opened ‘Tentaty’ in Valchiusella, the first co-operative to distribute organic products. All the food on sale is checked by the analysis laboratory in Damanhur, so as to be sure that it does not contain GMOs. Damanhur is a collective dream transformed into reality thanks to the creative power of positive thought. It is a laboratory for the future, a seed that has been growing for over thirty years, constantly transforming and renewing itself so as to bring to life the reality its citizens together dreamed of and built. From the founders, a mere dozen people, to the thousand living today in or near the communities, the history of the Federation is witness to a project that has come to life, has grown and today is reaching out with a planet-wide commitment, as a new people bringing innovation and values, interweaving sociality, spirituality and respect for the environment, the recovery of ancient traditions and advanced technological research, with its roots deep in the territory, service and voluntary work conjoined with attention for everything happening in the world. It is a profound vision of the ideal with its feet well planted on the ground. Thinking of the future in a positive manner and translating ideas into actions and concrete achievements are essential steps to build the new culture of peace, so needed in this age. This is the commitment of Damanhur for the future. Milkwood Permaculture offers world-class courses that give you the skills and confidence to create permanently sustainable systems. Students leave our courses ready and able to design & implement a better future for their families, farms and communities. Courses are run at Milkwood Farm near Mudgee and also in the center of Sydney. Click here to browse our current courses. 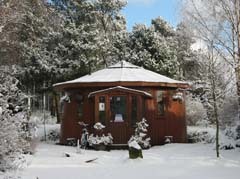 The Findhorn Ecovillage is a tangible demonstration of the links between the spiritual, social, ecological and economic aspects of life and is a synthesis of the very best of current thinking on human habitats. It is a constantly evolving model used as a teaching resource by a number of university and school groups as well as by professional organisations and municipalities worldwide. 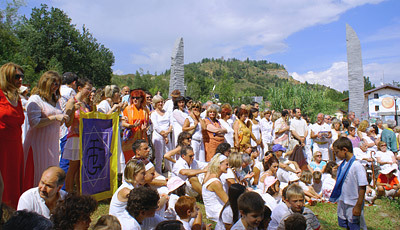 We are a founder member of the Global Ecovillage Network (GEN) a non-profit organisation that links together a highly diverse worldwide movement of autonomous ecovillages and related projects, and we work with intergovernmental agencies both educationally and in the creation of policy guidance for sustainable development and delivery of village-scale sustainability programmes. Preliminary results of the ecological footprint study for the Findhorn Ecovillage confirms what we have guessed for some time that ecovillages tread significantly more lightly on the Earth. 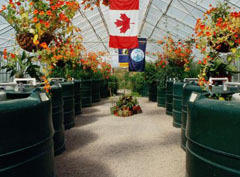 The Findhorn Foundation Ecovillage Project has received Best Practice designation from the United Nations Centre for Human Settlements (Habitat).